Comment : This night the sky was clear and I spend a long time to get in better focus. The difference isn't much better compare to earlier attempts but on the right way. The noise is less for some strange reason, the exposure time was only half compare to the one before. 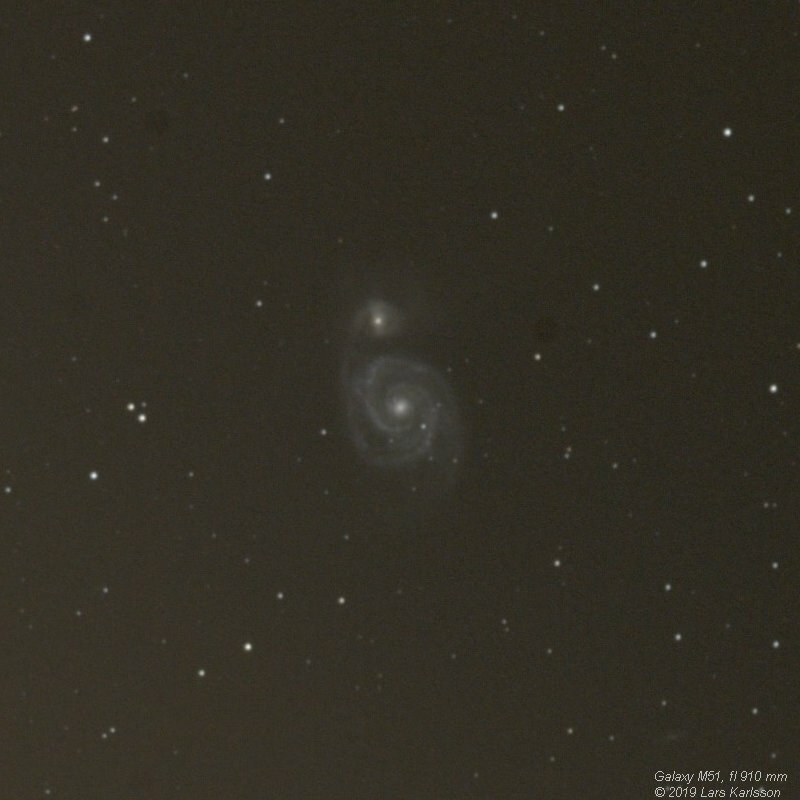 Comment : One more attempt to test the equipment on the galaxy M51. More control of the focuser and maybe you see that this latest photo is a bit sharper. This is the first image it didn't slip at all. To increase the contrast I need a lot more exposure, without that the noise will be to high. 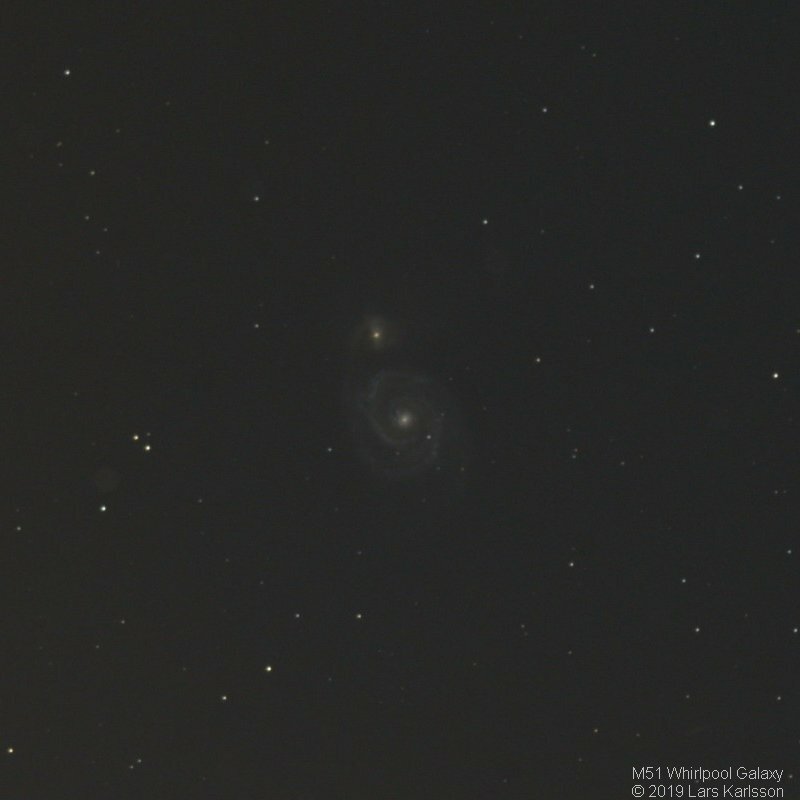 Comment : A new attempt to catch the M51 galaxy. This time with the new setup and increased focal length, from 682 to 910mm. Short exposures with high ISO setting. A small improvement. 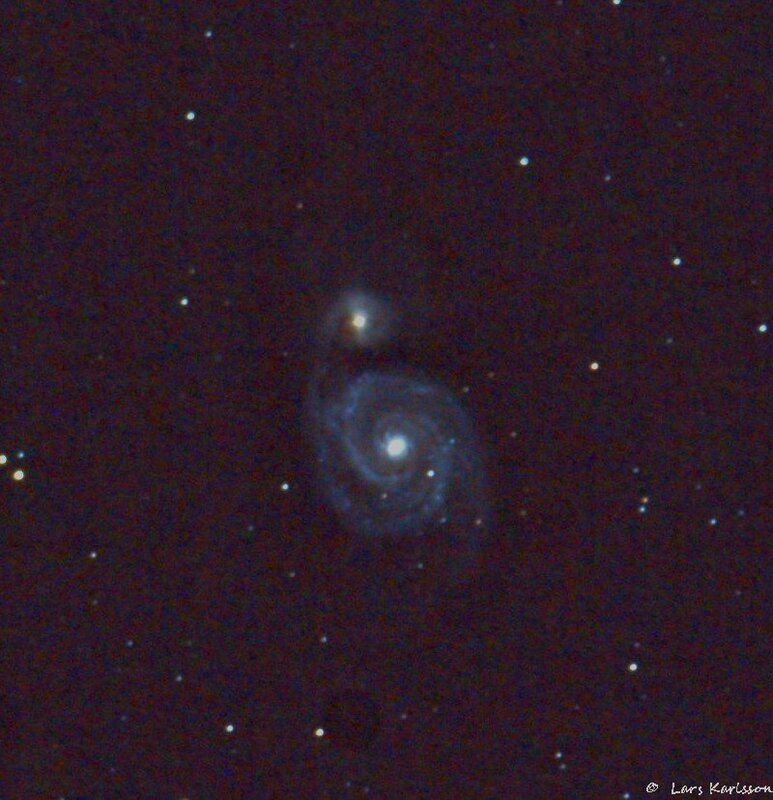 Comment : This galaxy is interesting. 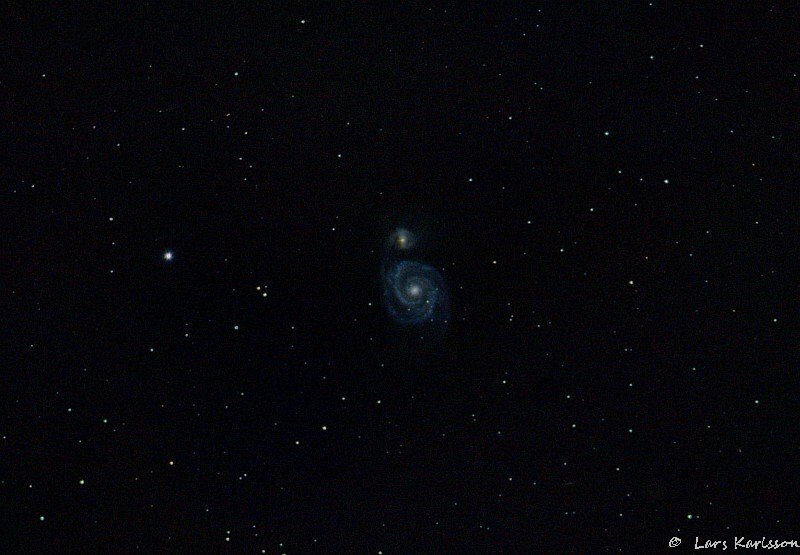 There is actually two galaxies that interacting on each other. Hard to see here, look in the zoom in version next. Comment : It's very common too see galaxies interacting or merging together, the upper small galaxy is NGC 5195. Our galaxy Milky Way maybe merging together with the Magellanic Cloud. 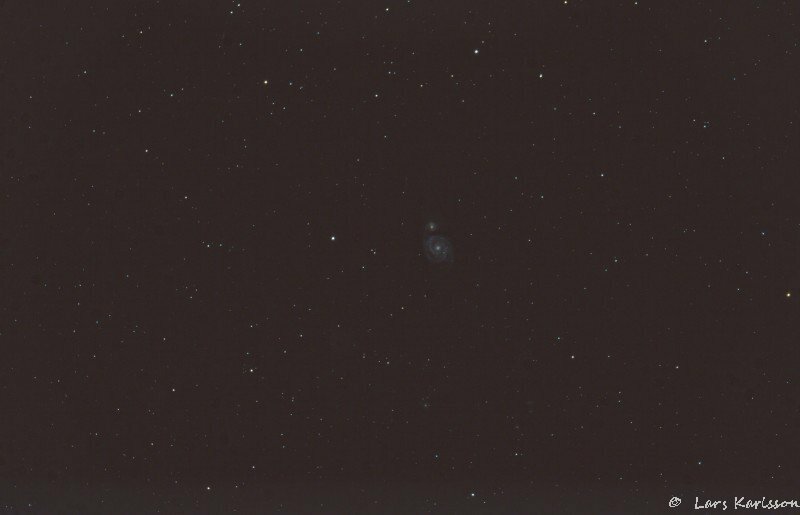 Comment : M51 is more than 10 times more far away than the Andromeda galaxy.